We all know if you have the money you can get away with murder. 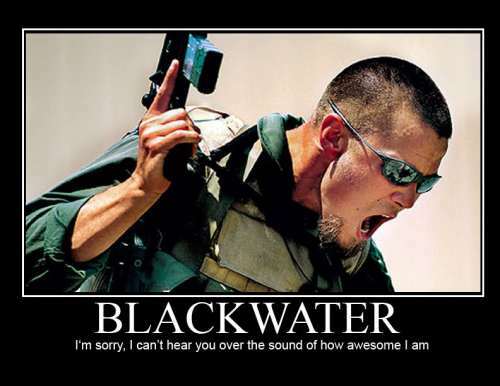 Blackwater hires Mercenaries which do work for MONEY not COUNTRY. Innocent people die during war. It happens. Anybody remember WWII? You can't expect mercenaries to say "please" or "thank you" while disemboweling the enemy. If you think they should be polite and cute, please close your internet browser, blindfold yourself and go run in the street.